After seeing patients struggle with the current teeth whitening options, our dentists decided to design something completely different. We didn't just repackage the same old technology, instead we developed something better. By getting rid of strips, trays, harsh abrasive and the idea that you have to settle with tooth sensitivity, we created a line of products that are more effective, use safer ingredients and deliver better results. Prepare for Compliments®. All of our products are carefully designed to be as safe and effective as possible. We use active dental peroxide - the only safe ingredient to whiten teeth. And we make sure to use the proper amount needed for maximum teeth whitening without any tooth sensitivity. More dental peroxide is not always better and we've spent years determining that exact amount of dental peroxide needed. Our clinical trials consistently show better whitening with less tooth sensitivity when compared to the leading trays, toothpastes and strips. We believe that teeth whitening can be easily incorporated into all parts of your oral care regimen-leading to a long-lasting, whiter, and brighter smile. Our full line of Luster products was developed with this in mind. The patented Luster Pro Light Dental Whitening System offers intense whitening treatments so that you can control how much or how little whitening you want. By using a dual energy whitening light, incorporating the same technology found in dental offices, Luster Pro Light delivers similar whitening results to the $500 dental office whitening products-without causing tooth sensitivity. Our Power White Deep Stain Eraser toothpaste can be added to your daily oral care routine and remove up to 95% of surface stains in just 5 days with 2% stabilized hydrogen peroxide. It even fights the microbes that cause gum disease, gingivitis, and bad breath. When you are looking for that super quick whitening boost, our Luster NOW! Toothpaste and Mouth Rinse can give you an instantly whiter smile, or opt for our Smile Illuminator Instant Whitening Kit which includes a toothpaste, rinse and whitening pen. Thanks to Bluverite® a proprietary formula that creates the optical effect of whiter teeth after just one use, NOW! Toothpaste, NOW! Mouth Rinse and the Smile Illuminator gives you a whiter smile in seconds, after just one-use with results that last for hours. Luster Premium White Smile Illuminator Kit is amazing! Having white teeth gives me so much confidence, so I'm always trying out the latest and greatest new teeth whitening products. I've found that my teeth get incredibly sensitive with the use of most teeth whitening products. With Luster Premium White Smile Illuminator Kit my teeth were never sensitive after using this product. I also love the results I received! My teethe are several shades whiter and I feel confident showing them off so I'm smiling much more these days. 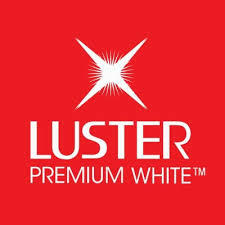 I highly recommend Luster Premium White Smile Illuminator Kit for a fast, pain free, affordable way to whiten your teeth!